I had a few scrap nine patch blocks left over from a project that I am working on. 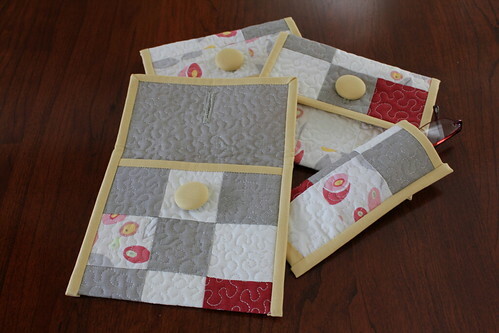 I wanted to do something useful with them so I thought I'd whip up a few quilted trinkets. The pink and red in the print made the blocks a natural for Valentine's day so I made a few pouches to give away as gifts. I made covered buttons for the pouch closures, I was pleased with how nicely they turned out. 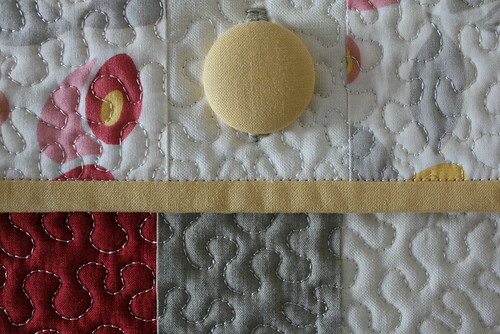 Simple to do when using a Dritz covered button kit. I bought a three pack kit with a coupon yesterday, the cost was only $2 and change. 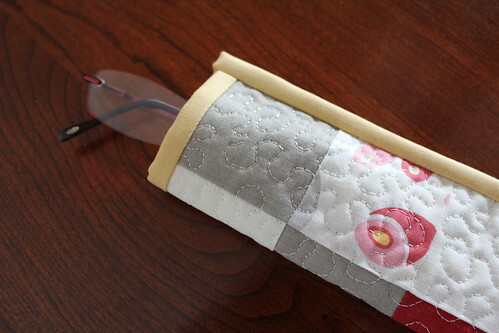 After I finished the three pouches, I still had a few scraps left over to make this eyeglass case. Maybe now I'll have an easier time finding them when they are needed.